The novel takes place in February 1983. Clarice Starling, a young FBI trainee, being asked to carry out an errand by Jack Crawford, the head of the FBI division that draws up psychological profiles of serial killers. Starling is asked to present a questionnaire to brilliant forensic psychiatrist and cannibalistic sociopath, Hannibal Lecter. Lecter is serving nine consecutive life sentences in a Maryland mental institution for a series of brutal murders. It is also revealed that Jack Crawford is hunting for a serial killer dubbed "Buffalo Bill", whose modus operandi involves kidnapping overweight women, starving them for about a week, and then killing and skinning them, before dumping the bodies in nearby rivers. The nickname was started by Kansas City Homicide, as a joke that "he likes to skin his humps." Throughout the investigation, Starling periodically returns to Lecter in search of information, and the two form a strange relationship in which he offers her cryptic clues in return for information about her unhappy childhood as an orphan. When Bills sixth victim is found in West Virginia, Starling helps Crawford perform the autopsy. Starling finds a moth pupa in the throat of the victim, and just as Lecter predicted, she has been scalped. Diamond-shaped patches of skin have also been taken from her shoulders. Furthermore, autopsy reports indicate that Bill killed her within four days of her capture, much faster than his earlier victims. On the basis of Lecters prediction, Starling believes that he knows who Buffalo Bill really is. She also asks why she was sent to fish for information on Buffalo Bill without being told she was doing so; Crawford explains that if she had had an agenda, Lecter would never have spoken up. Starling takes the pupa to the Smithsonian, where it is eventually identified as the Deaths-head Hawkmoth, which would not naturally occur where the victim was found. In Tennessee, Catherine Baker Martin, the daughter of Senator Ruth Martin, is kidnapped. Within six hours, her blouse is found on the roadside, slit up the back: Buffalo Bills calling card. Crawford is advised that no less than the President of the United States has expressed "intense interest" in the case, and that a successful rescue is preferable. Crawford estimates they have three days before Catherine is killed. After Starling leaves, Lecter reminisces on the past, recalling a conversation with Benjamin Raspail, a former patient whom he later murdered. Raspail, during that therapy session, explained the death of a sailor named Klaus at the hands of Raspails jealous former lover, Jame Gumb, who then used Klauss skin to make an apron. Raspail also revealed that Gumb had an epiphany upon watching a moth hatch. Lecters pleasant ruminations are interrupted when Dr. Frederick Chilton - the asylums administrator and Lecters nemesis - steps in. A listening device allowed him to record Starlings conversation, and Chilton has found out that Crawfords deal is a lie. He offers one of his own: If Lecter reveals Buffalo Bills identity, he will indeed get a transfer to another asylum, but only if Chilton gets credit for getting the information from him. Lecter insists that hell only give the information to Senator Martin in person, in Tennessee. Chilton agrees. Unknown to Chilton, Lecter has previously hidden under his tongue a paperclip and some parts of a pen, both of which were mistakenly given to him by untrained orderlies during his stay at the asylum. He fashions the pen pieces and paperclip into an improvised lockpick, which he later uses to pick his handcuff locks. In Tennessee, Lecter toys with Senator Martin briefly, enjoying the womans anguish, but eventually gives her some information about Buffalo Bill: his name is William "Billy" Rubin, and he has suffered from elephant ivory anthrax, a knifemakers disease. He also provides an accurate physical description. The information is a red herring: bilirubin is a pigment in bile and a chief coloring agent in human feces, which the forensic lab compares to the color of Chiltons hair. Starling tries one last time to get information from Lecter as he is about to be transferred. He offers a final clue - "we covet what we see everyday" - and demands to hear her worst memory. Starling reveals that, after her fathers death, she was sent to live with a cousin on a ranch that raised lambs and fattened unwanted horses for slaughter. One night, she was woken up by the sound of the screaming lambs and fled on a partially-blind pony. Starling and the pony were both sent to live in a Lutheran orphanage, where she spent the rest of her childhood. Lecter thanks her, and the two share a brief moment of connection before Chilton shooes her out of the room. Later on, she deduces from Lecters clue that Buffalo Bill knew his first victim. Shortly after this, Lecter escapes by killing and eviscerating his guards, using one of their faces as a mask to fool paramedics. Starling continues her search for Buffalo Bill, eventually tracking him down and killing him and rescuing Catherine. She is made a full-fledged FBI agent, and receives a congratulatory telegram from Lecter, who hopes for her that "the lambs have stopped screaming". 1.Ed Gein, a Wisconsin man who robbed graves and murdered women in order to flay their bodies and make clothing out of them. Gein was also the inspiration for Norman Bates in the Alfred Hitchcock film Psycho and Leatherface in The Texas Chain Saw Massacre. 2.Ted Bundy, who killed dozens of women in the 1970s, often luring victims by pretending he was injured with a cast on his arm, a technique Gumb used to lure Catherine Martin into his van. Similar to Lecter, Bundy also offered to help investigators find other serial murderers by "giving insights" into their psychology while he was in death row, specifically about the Green River Killer. 3.Gary M. Heidnik, who held women captive in a deep hole in his basement. 4.Edmund Kemper, whose first victims were his grandparents, much like Buffalo Bill. 5.Albert Fish, a child molester and cannibal, also referred to as The Brooklyn Vampire. He travels to various places in America, such as Brooklyn, and molests, tortures, kills, and sometimes eats children. The novel was a great success. 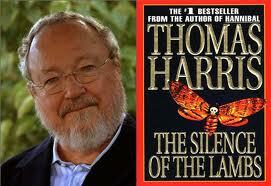 Craig Brown of The Mail on Sunday wrote, "No thriller writer is better attuned than Thomas Harris to the rhythms of suspense. No horror writer is more adept at making the stomach churn". The Independent wrote, "Utterly gripping", and Amazon.com wrote, "driving suspense, compelling characters,...a well-executed thriller..." Childrens novelist Roald Dahl also greatly enjoyed the novel, describing it as "subtle, horrific and splendid, the best book I have read in a long time." 1.The novel won the 1988 Bram Stoker Award for Best Novel. 2.It was nominated for the 1989 World Fantasy Award.